Today is the start of a new series on the blog! From time to time I'm going to be sharing items that I love from different shops. I spend a lot of time browsing and shopping online, so this will be a fun way for me to spotlight some of my favorite finds. I can't even begin to count how many baskets and decorative storage bins we have around our house. I am constantly needing more to stuff scarves, skeins of yarn, or Madeleine's growing collection of toys. 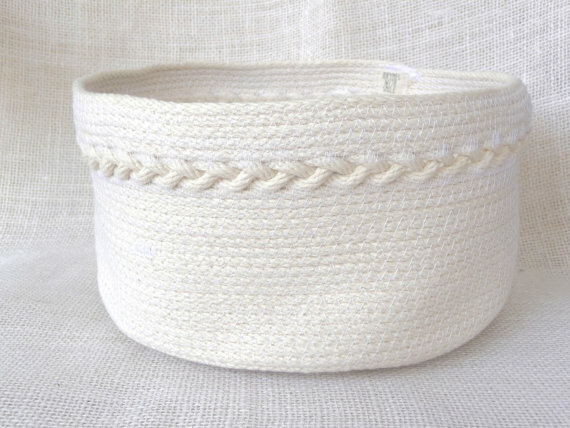 I love that this basket has clean lines but also a special touch with the braid. 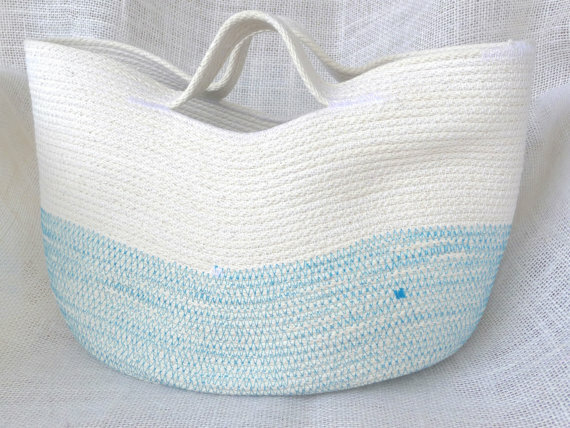 I can always find a reason to get a new bag, but this tote would be perfect for carrying to the beach or the farmers' market, or for storing magazines in. 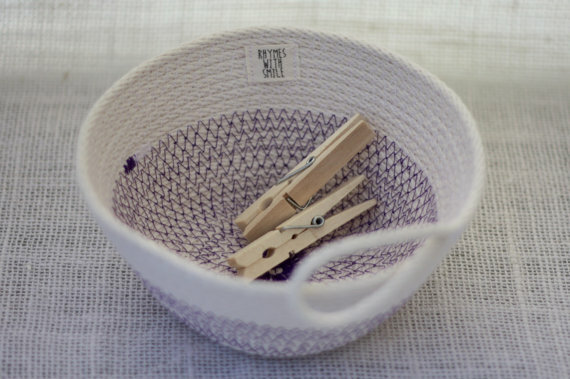 I love this small coiled rope basket for corralling odds and ends around the house. I'm thinking Madeleine's hair bows, spare change, ear buds, and rolls of stamps. You can shop Rhymes with Smile here and follow along on Facebook here.